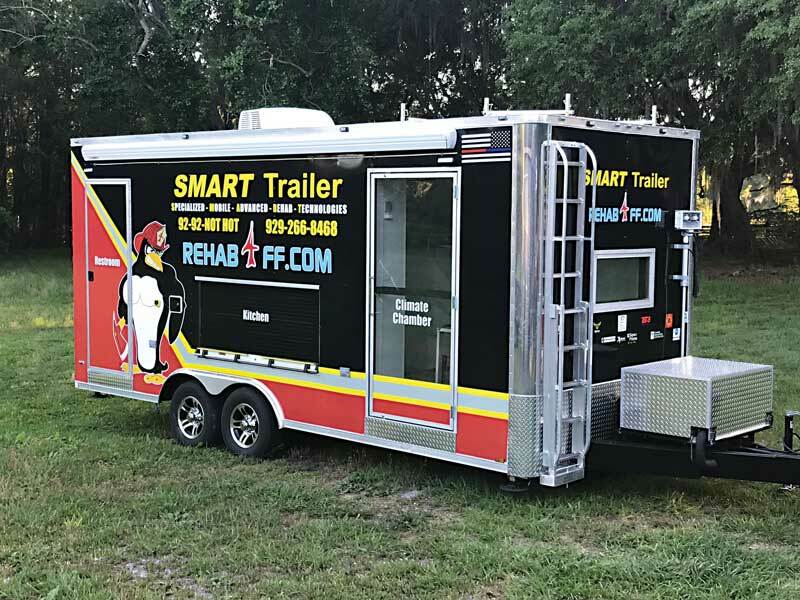 The SMART Trailer is no ordinary Firefighter Rehab Trailer – It offers Prehab and Rehab solutions in hot and cold environments. It exceeds NFPA 1584, Standard on the Rehabilitation Process for Members During Emergency Operations and Training Exercises. 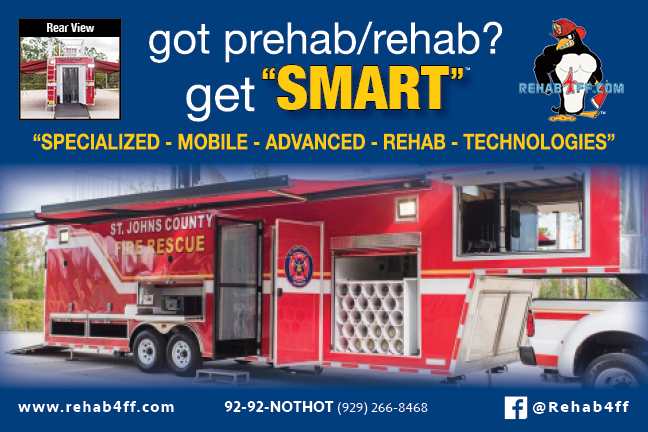 SMART Trailer was designed by a veteran firefighter for use by ALL first responders. It provides for our number one resource: Our Brothers and Sisters! This website and its content is copyright of rehab4ff.com – © rehab4ff.com – 2016. All rights reserved. Any redistribution or reproduction of part or all of the contents in any form is prohibited. Introducing NOMAD: Decon on the move. Cancer kills firefighters; NOMAD defends them. We can’t eliminate carcinogens, but with mobile decon showers, gear extractors, and dryers, we can reduce risks and aid cancer prevention. Protect your people, so they can protect others. SMART Trailer hear from those who know! SMART Trailer is a game changer! Wish I had SMART Trailer when I was on the job! 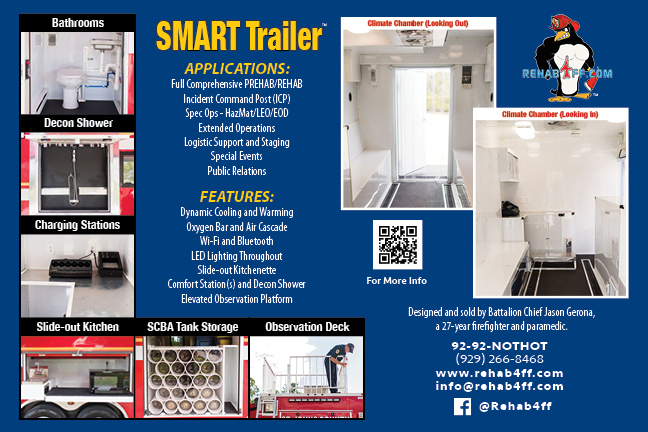 SMART Trailer and NOMAD Decon were designed by Battalion Chief Jason Gerona, a 29-year firefighter and paramedic. Engineered and constructed by M&R Trailers, an elite company known for producing top-notch custom trailers and trucks. 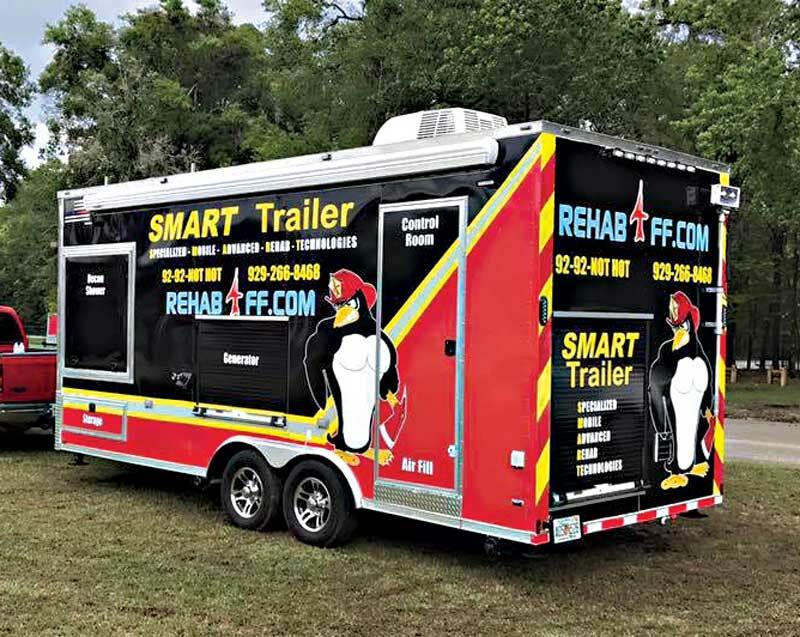 SMART Trailer is the only known single-resource unit of its kind to provide complete, thorough and comprehensive PREhab and REhab. NOMAD Decon Trailer is the best mobile personnel and gear decon unit of it’s kind. Decon on the move!